February 3rd, 2018. 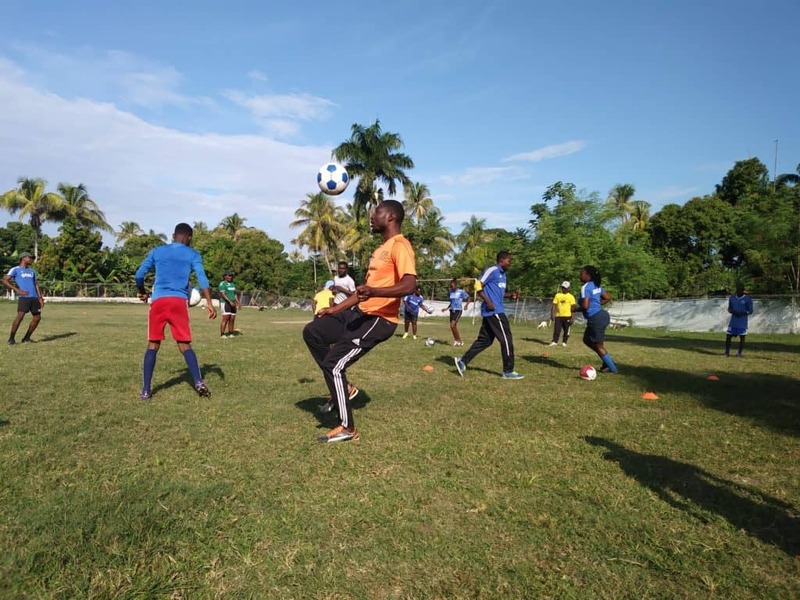 First-Time on-field as new CAC staff, Pedro, writes about his experience working with GOALS Haiti during the ASK for Choice program in Leogane. Before starting my first trip as staff member of CAC i didn’t know anything about my destination: Haiti. It’s hard to hear from Haiti being in Spain -after visit MUPANAH one can imagine the reason-so i didn’t know what I was going to find. After a quick pass through Port au Prince we arrived in Leogane for work during the week with our partner in the city, GOALS Haiti. Once in Haiti, and Leogane in particular, this place stopped being a stranger to me. I learned, in only five days and a half, about the importance of this city in the history of the country. Some examples, it was in Leogane where the taino queen Anacaona raised up against the abuses of the Spanish invaders. Since then she represents the courage of the Haitian woman and her story has been immortalized in books, songs and is represented in a large statue that presides over the main square of Leogane. 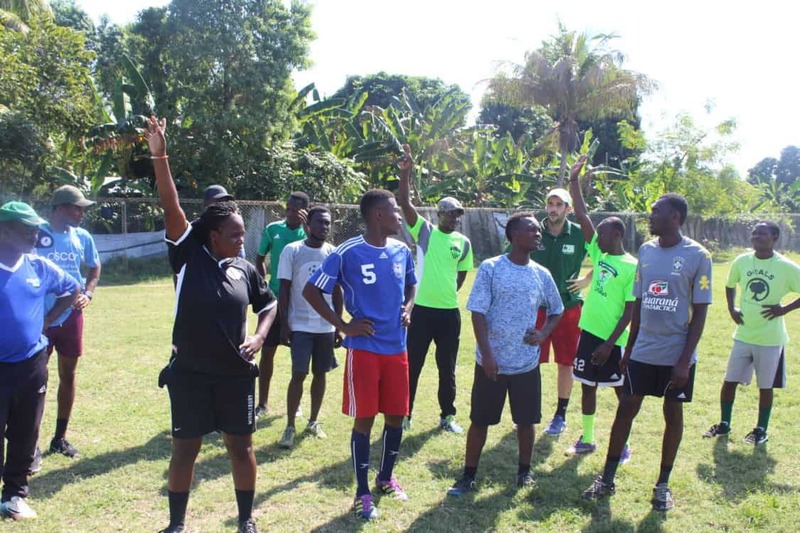 Leogane is one of the sport’s capitols in the country. It is home to five major league sports teams -remember that it’s a city with 90.000 population-. And it’s also important because music festivals and vodou religion too (did you know vodou is a religion? I didn’t either!). 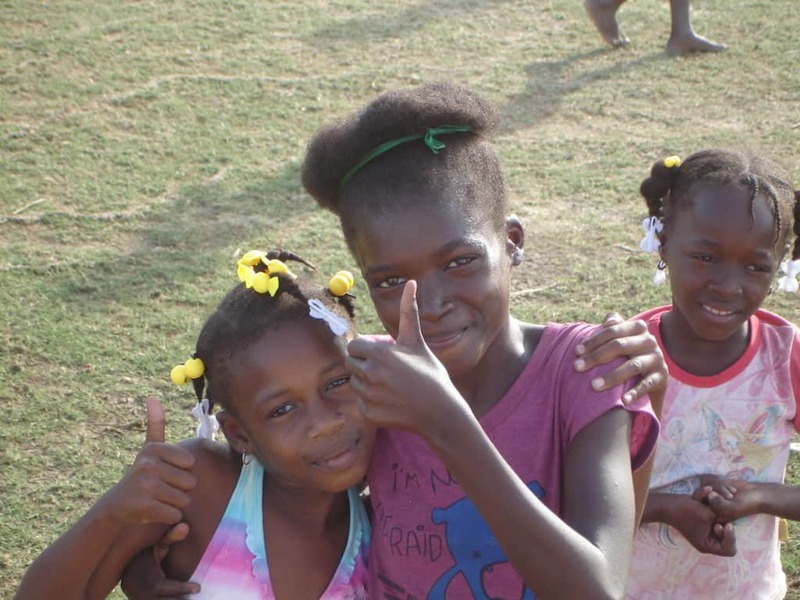 At the same time, I had the opportunity to visit the communities where GOALS Haiti is working. It was really impressive to see the large number of children participating in the sessions and how the community respected these moments. I have seen different trainings like this in many other countries and believe me, it’s not easy to get this picture. Why am I telling all this? Because as the TV show “Conan in Haiti” -he’s in the country on the same days that we are – we want people to know that Haiti of course it’s not always the country it is portrayed to be – and you will know from the first moment you set foot there. March 9th 2016. Yesterday was International Women’s Day. We sent a packet of gender equity games to over 1000 organizations in 90 countries. Here is just a small sample of activities which these incredible organizations ran to celebrate International Women’s Day. 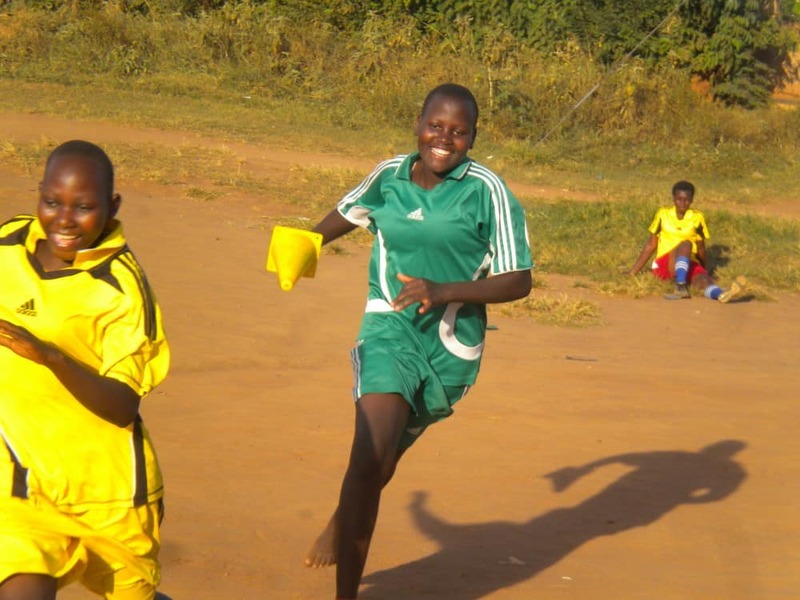 In Uganda, Buwate Youth Sports Academy, played the games with a group of girls in their community. They discussed the types of discrimination women suffer from and the benefits to society of investing in women and girls. 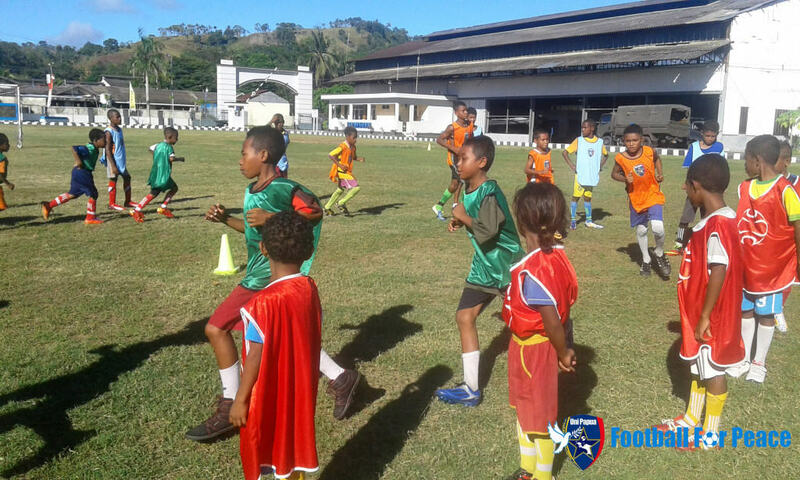 In Indonesia, coaches from our partner Uni Papua ran a session with both boys and girls and focused on the integration of girls into all sporting activities as a way to show society that women can do everything men can. 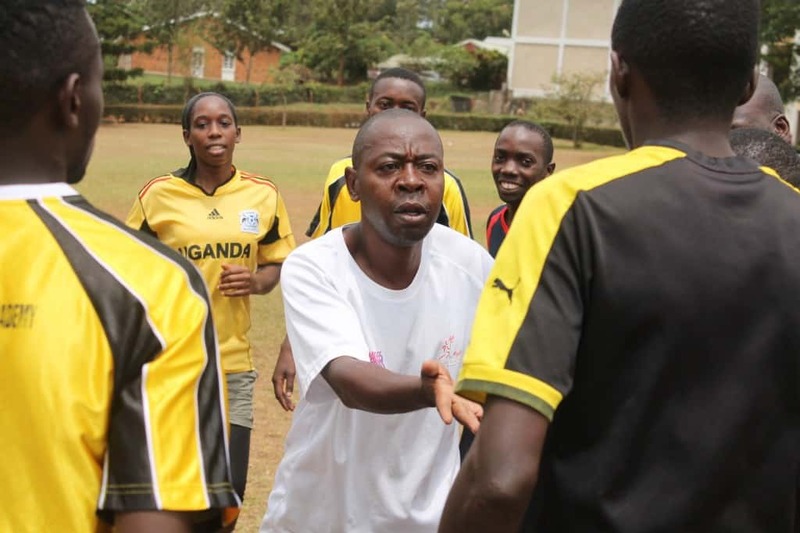 In Kenya, CAC staff joined an International Women’s Day parade and played games from our new ASK for Choice female empowerment curriculum which brings gender policy to life all over the world with a community partner. 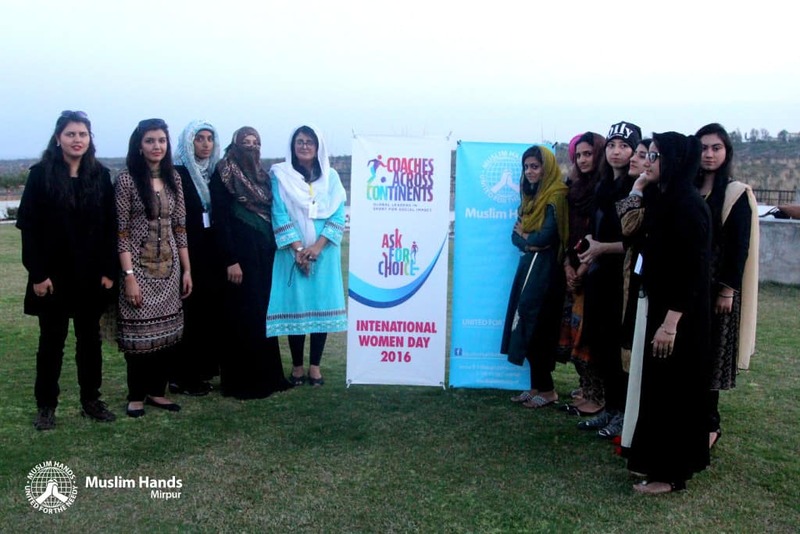 In Pakistan, Muslim Hands Mirpur and Mirpur University of Science and Technology organized a seminar within the campus which was attended by a huge number of female students. They also ran a session using our Overcoming Discrimination game with students at a blind school. Incredibly, 2 of the female participants biked 135KM to attend the seminar! 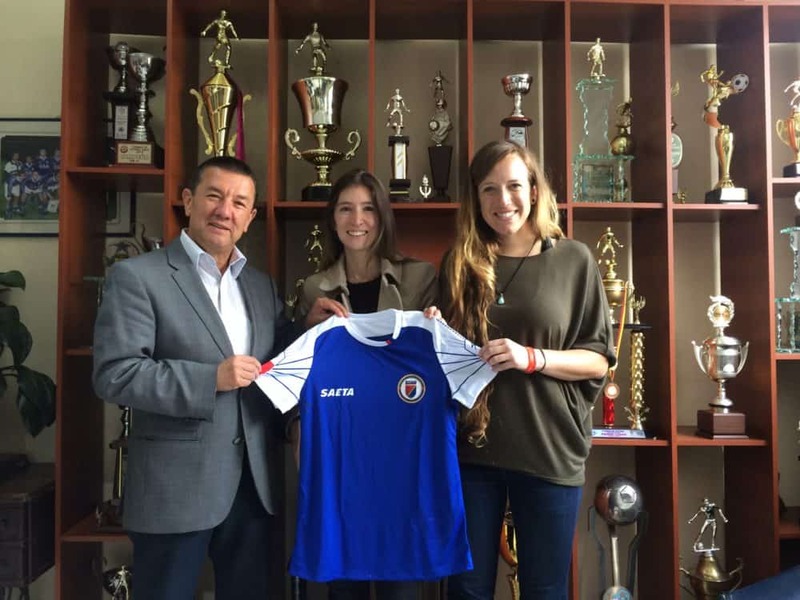 In Brazil, CAC staff, alongside our partner Futebol Social, played ASK for Choice games. 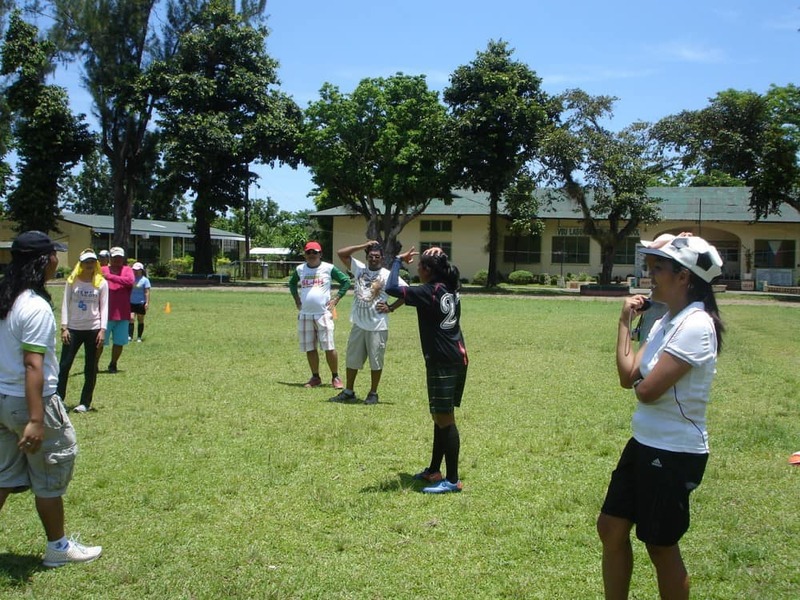 They discussed practical solutions for equality and finished with the men cheering on the women during an all-female game. In Nepal, our partner Childreach Nepal played ASK for Choice games at a local school to encourage girls to have a voice when they are wronged. 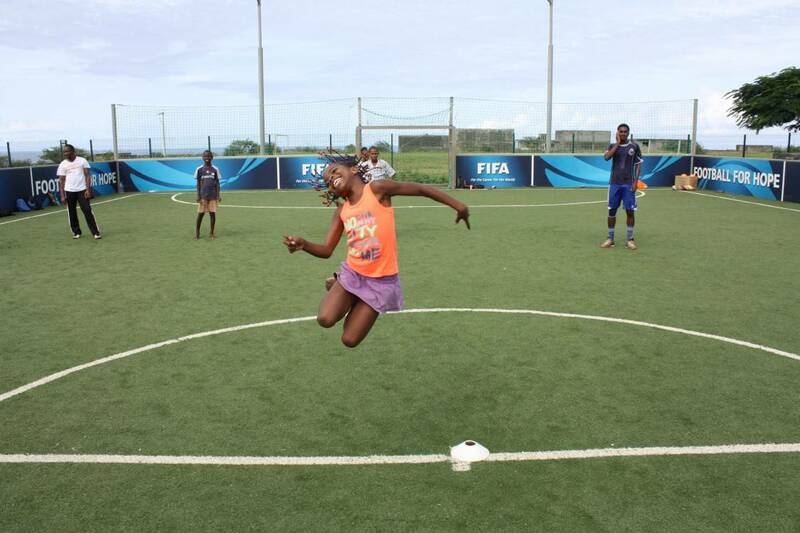 In the USA, The Sanneh Foundation encouraged girls to come down to their Conway Community Center to get assistance on their school work and play sports. In India, Foot and Boot delivered sessions which highlighted and discussed the safe spaces for women and women’s rights. They finished by talking about how investing in women leads to a better all round future. 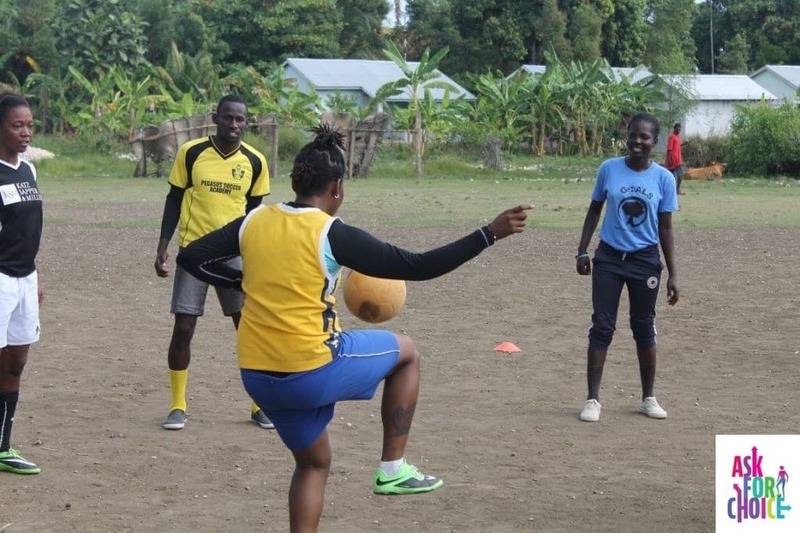 In Haiti, CAC recently ran ASK for Choice games with a group of young women as part of our partnership with GOALS Haiti. In Singapore, SportCares’ tennis coaches put education into action using themes like gender equality and safe spaces for girls who attended their sessions. We want to say well done and thank you to everyone who ran events on and around International Women’s Day. Your commitment and efforts are creating choices and opportunities for women and girls in your community. November 17th 2015. 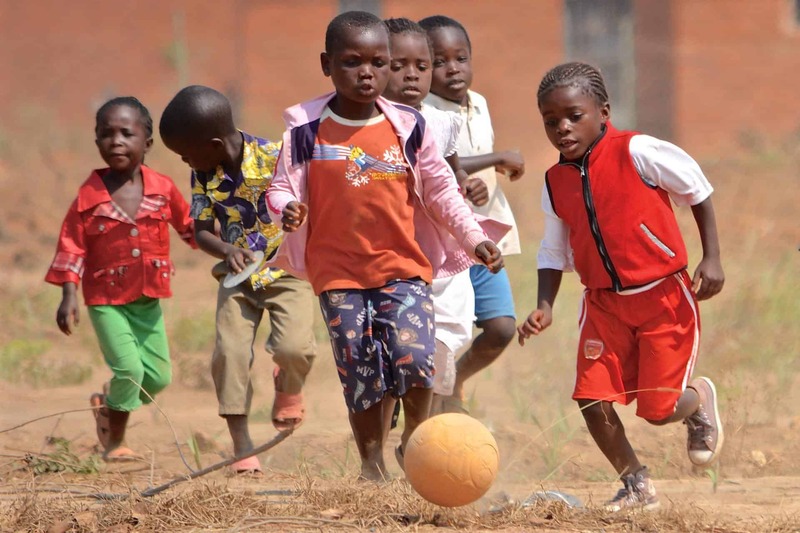 CAC is delighted to be nominated in not one, but two categories of the inaugural Football For Good Awards. We have been shortlisted for ‘Champion of the Women’s Game’ and ‘International Impact’. 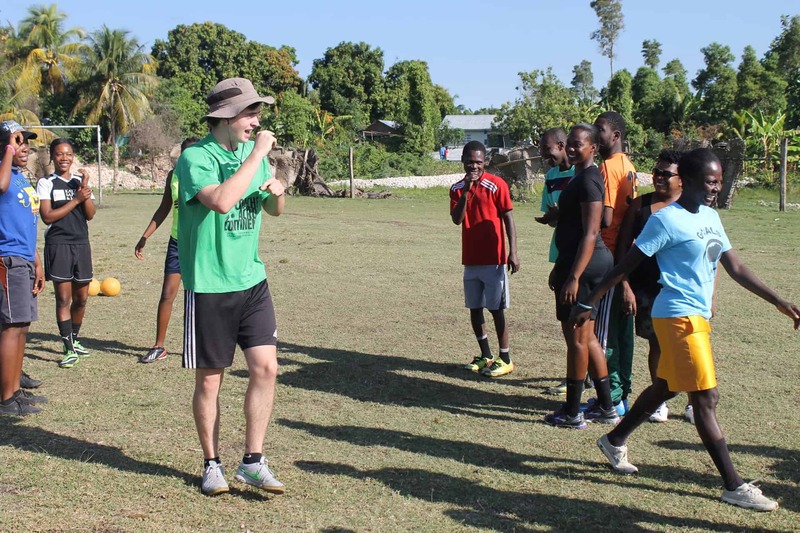 Two of our amazing implementing partners have also been nominated – GOALS Haiti for the International Impact award and Street Child United for the Game Changer award. 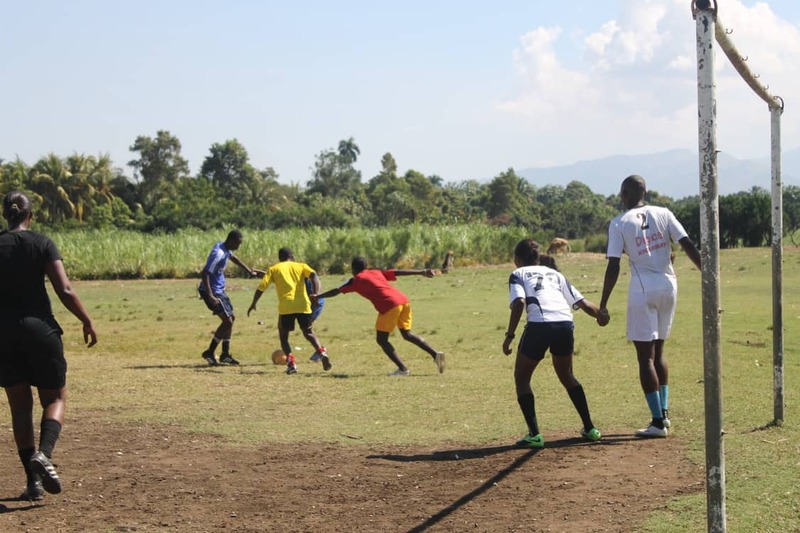 CAC has been shortlisted alongside incredible social development initiatives like those led by football legends Alan Shearer and Jamie Carragher and programmes delivered by football clubs such as Burnley, Charlton Athletic, Chelsea, Crystal Palace, Everton, Hull, Manchester City, Reading and West Ham. The Professional Footballers’ Association is chairing the judging panels and the winners will be announced at an awards ceremony to be held in London on 2nd December.